Wonderful snapshot of what appears to be a fishing camp deep in the woods, perhaps in Maine. 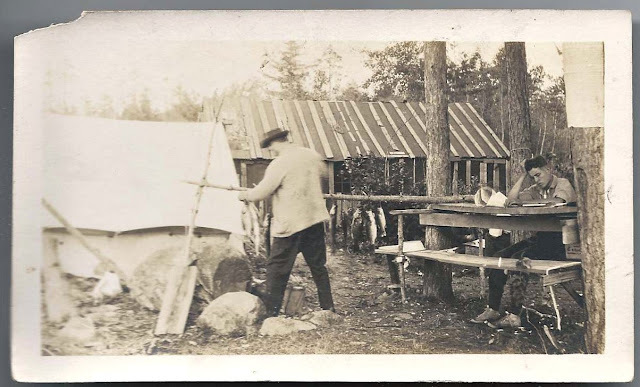 While one man is busy hanging up the day's catch, the other is seated at a makeshift table and is poring intently over something. Perhaps he's recording the day's tally in his diary or planning the next day's itinerary. There's what appears to be a rolled up topo map on the table. I envy the meal that they have ahead of them.